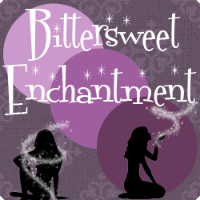 Bittersweet Enchantment: Book Blog Tour: Wake by Amanda Hocking | ARC Review + Excerpt + GIVEAWAY! Book Blog Tour: Wake by Amanda Hocking | ARC Review + Excerpt + GIVEAWAY! 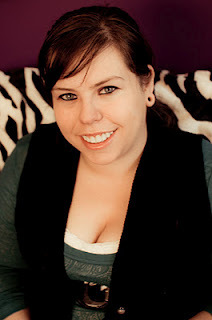 I am so super excited because I am a part of the WAKE by Amanda Hocking book tour. I have had the pleasure to read a ARC of Wake and loved it. 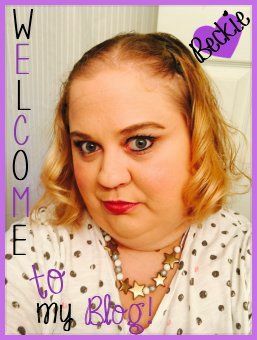 So today I am here to share my review on the book, as well as a special excerpt AND a GIVEAWAY of Wake! How cool is that? On Lucky winner will win a finished copy of Wake shipped right from Amanda Hocking herself. Enjoy the post and have a outstanding day! Sequel to WAKE, the first book in the phenomenal new series by bestselling author Amanda Hocking. “Not to mention you wouldn’t get to see me,” Daniel said. “On your boat?” Harper asked. Harper glanced towards the other end of the dock, where her father worked. She had probably ruined his lunch anyway, and Brian could easily grab a hot dog. But she still wasn’t that sure wanted to hang out on Daniel’s boat with him. Yes, she wanted to see him, but going up on his boat, it felt like admitting something that she didn’t want to admit. “Oh come on.” Daniel leaned over the rail and extended his arm to her. “Don’t you have like a landing plank or anything?” Harper asked, just staring at his hand. Sighing, Harper took his hand. It was strong and rough, the hand of a guy who’d spent his whole life working. He pulled her up easily, as if she weighed nothing. To get her up over the rail, he had to pull her into his arms, and he held her there for a second longer than he needed to. “Don’t you own a shirt?” Harper asked when she pushed herself back from his bare chest. He wore only a pair of shorts and flip flips, and Harper purposely wouldn’t look at him once she stepped away from him. She could still feel his skin on hers, warm from the sun beating down on them. 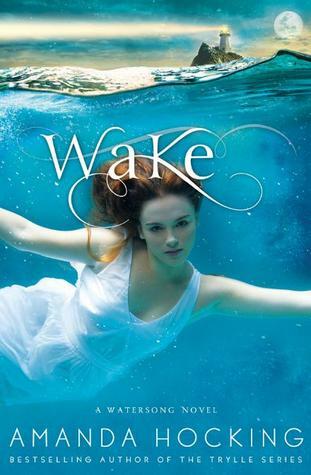 Wake happens to be my first Amanda Hocking novel read. Yeah, I know... what hole have I been living in?! I am not quite sure why I never read any of her books before but after reading Wake I now know I will be reading them all. This book was such a pure delight to read and about one of my favorite fantasy creatures, Mermaids or in this case Sirens. The story begins with a girl named Gemma. She is a great swimmer with a passion for water. Swimming is her release, her enjoyment and friend. So living in a town near the sea, a large tourist attraction, is perfect haven for her. Gemma is a outgoing girl, with a nerdy sister and a geeky, yet hot boy next door. Everything is seemingly perfect. Until one day a set of three young, and beautiful girls; Penn, Thea, and Lex come to town. No one really knows who they are or where they come from. So one night when Gemma decides to go for a swim in her favorite spot she hears a beautiful song; one that seems to be calling to her. But deciding to follow the call turns out to be the worst thing she could do. Penn, Thea, and Lex are not of this world but are evil and selfish creatures of the sea. Now Gemma is forced to become one and join them or die. She now has to make a life altering decision that may end up costing her her life....leave town with the girls or stay and die. To find out what happens, what choice she made and who is affected by these events you will have to read the book. Amanda Hocking is a born story-teller. She knows just how to make the reader feel fascinated and immersed in the world she created. The story was rich in details which has a vast effect on the book. I feel in love with all of the characters and by what defines them; makes them special. I could sense Gemma's desperation and feelings of confusion. Wake has such raw emotions and the story itself hold it own with a such a engaging aquatic tale. Amanda version of these mythological creatures; Sirens is perfect and leaves the readers captivated by them. I must say that even having read numerous books about similar subjects, WAKE pull right into the lead. 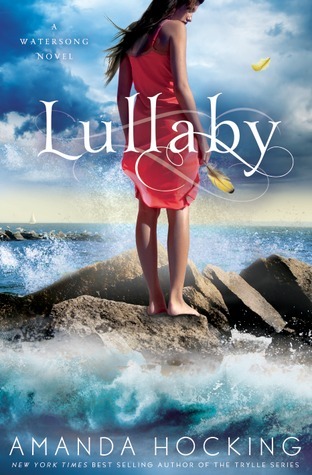 I surely dislaike that I have to wait to read Lullaby which in the next book to continue the story but I am sure without a doubt it will be worth the wait. The only thing that made my decision to give the book 4 stars not a solid 5 was the pacing as well as the slight lack of character development in Penn, Thea and Lex. I wanted to know more about them and their lives as Sirens. Wake is a fun, and great summer read. I hope everyone will buy the book and enjoy it as much as I did. I do many things, most of them lame and boring, but the thing I getpaid to do is write young adult books. All three books in my Trylle Trilogy - Switched,Torn, and Ascend -were originally self-published, but were re-released with St. Martin’s and Pan Macmillan internationally with new bonus content in early 2012. The trilogy has also made the USA Today the USA Today Bestseller list, the New York Times Bestseller list, and was recently optioned for a film by Media Rights Capital with District 9 screenwriter Terri Tatchell adapting the books for screen. St. Martin’s and Pan Macmillan recently acquired my new young adult four-book series Watersong, with the first book Wake coming out in August 2012. My zombie series, The Hollows, is being adapted into a graphic novel by Dynamite. I also enjoy Red Bull, Jim Henson, Batman, Jane Austen, Star Wars legos, and I absolutely hate long walks on the beach out of my intense fear/hatred of wet sand..
Time for a awesome giveaway! Are you excited? 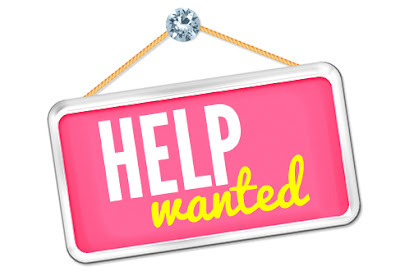 I know I am because ONE of my readers will win a finished hardcopy of WAKE! Amanda will be shipping the book personally to the winner. Thank you to Amanda and BBtours. Open from today August 15th until the 23rd. Awesome review Beckie, this sounds like a great start to a new series. I recently read The Vicious Deep and it was really good!!! The Vicious Deep and the good original My Little Mermaid. Mermaid stories rock. Can't wait to read Wake and your review was great. Thanks for writing such an insightful review about Amanda Hocking's new book! And also for providing this giveaway for us readers :) I can't wait to read this book and the rest of this series. I've only read one mermaid book, Wrecked by Anna Davies. It was pretty good! I really want to read this one! Thanks for the giveaway! Right now I would say Of Poseidon. I loved it!! I've read all of Amanda's books. I can't wait to read this one...it looks great! I have not read a mermaid/siren book yet. I love Amanda Hocking and am hoping she will change my mind on the genre :) Thank you for sharing today and I am glad you enjoyed this book. I haven't read any yet and have this one on my wishlist! I also have Of Poseidon on my shelf to read so hopefully I'll like that too:) Thanks for the great giveaway! Great review, Beckie! Being a self-published author, I am excited to see how well Miss Hocking is doing.